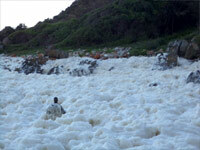 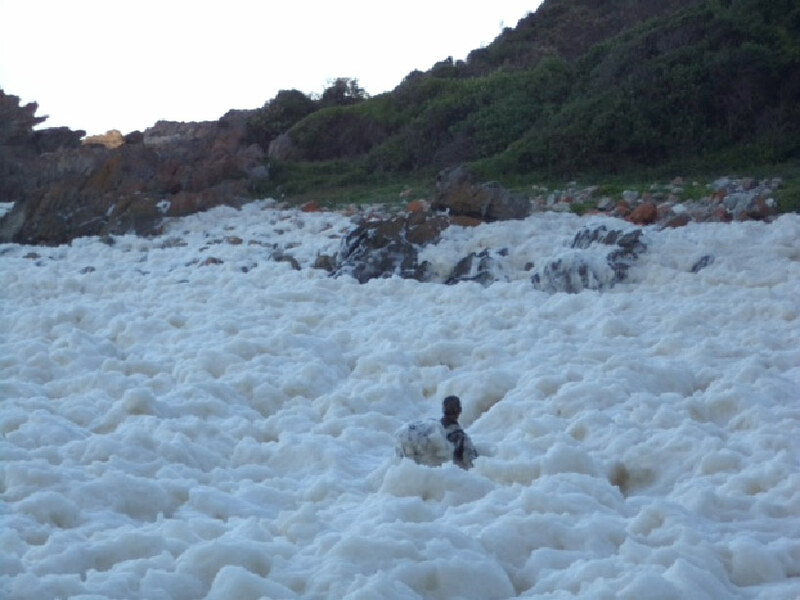 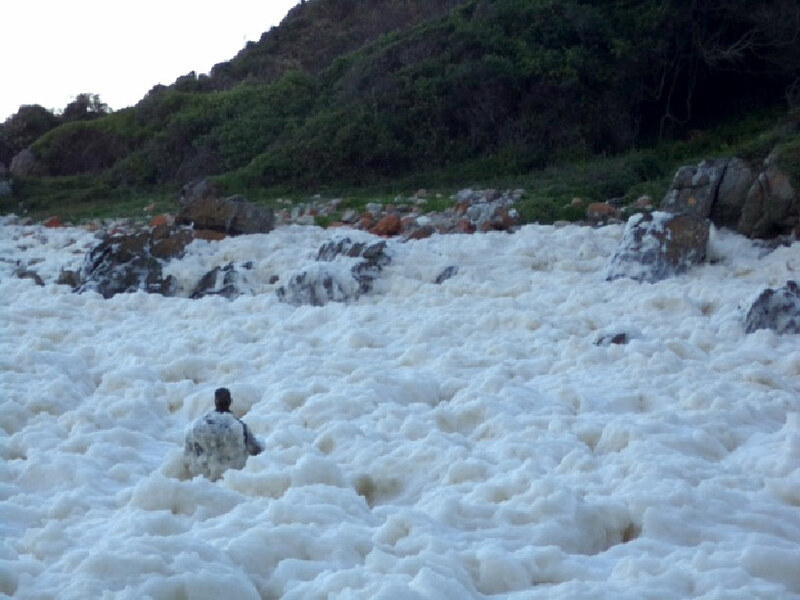 Sections of the Otter Trail are covered in foam. 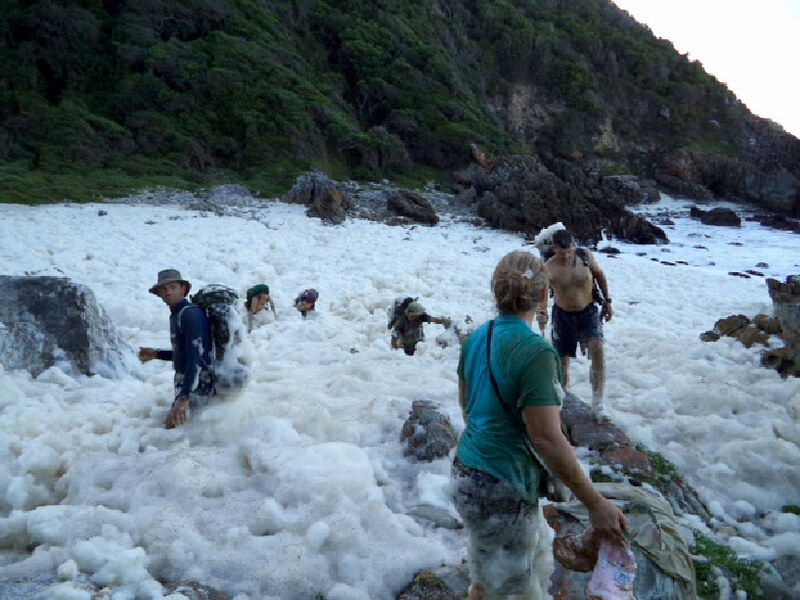 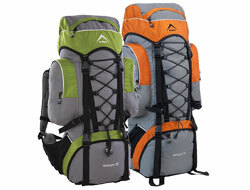 Thought to be a result of the recent red tide, hikers have quite a challenge following the trail. "I was the only one who got my camera out, the rest was packed away in waterproof bags. 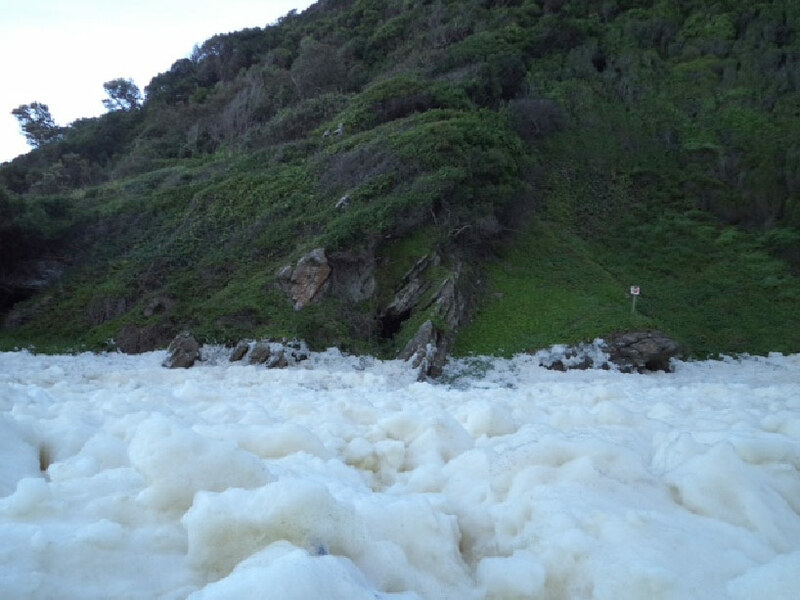 The next photo was taken when I was out of the foam and the rest near the end. The actual “chain” dissolved by then. 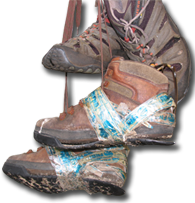 A rope would have helped, but not much as we helped each other to balance on the rocks underneath."